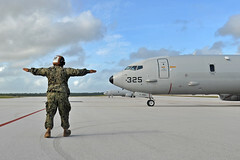 The "Golden Swordsmen" and Japan Maritime Self-Defense Force counterparts conducted a coordinated maritime patrol operational procedures exercise, Jan. 30. 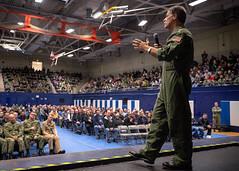 Adm. John Aquilino visited Puget Sound Naval Shipyard & Intermediate Maintenance Facility (PSNS & IMF) Jan. 28. 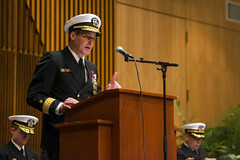 Rear Adm. Douglas Perry relieved Rear Adm. Blake Converse as commander during a change of command ceremony, Jan. 25. 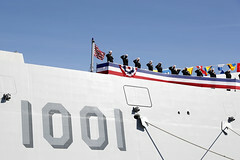 The Navy’s newest Zumwalt-class destroyer, USS Michael Monsoor (DDG 1001), was commissioned Jan. 26 in San Diego. The amphibious transport dock ship and embarked 13th Marine Expeditionary Unit (MEU) Marines arrived in Singapore for a port visit, Jan. 26. 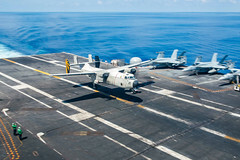 The aircraft carrier received supplies at sea in the Indian Ocean this week as part of a temporary cargo transfer initiative in Sri Lanka. 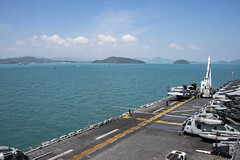 The amphibious assault ship and embarked Marines of the 13th Marine Expeditionary Unit (MEU) arrived in Phuket, Jan. 24. 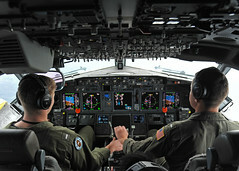 Four U.S. Navy and Royal Australian Air Force P-8A Poseidons and a Los Angeles-class submarine participated. 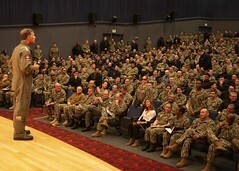 Adm. John Aquilino and Fleet Master Chief James Honea spoke to more than 700 Sailors at Fleet Activities Yokosuka, Japan, Jan. 23. 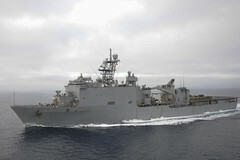 The dock landing ship and embarked 13th Marine Expeditionary Unit (MEU) Marines arrived in Chennai, Jan. 23, for a port visit.